Well, I’m back in Illinois after almost a month in Texas and not soon enough. The weather in Texas was really not conducive to baking muffins or anything else for that matter. So, now back in Illinois and its cooler, so much cooler, cool enough to start baking again……and there was great rejoicing! October is the month of all things pumpkin and these muffins sure do deliver. 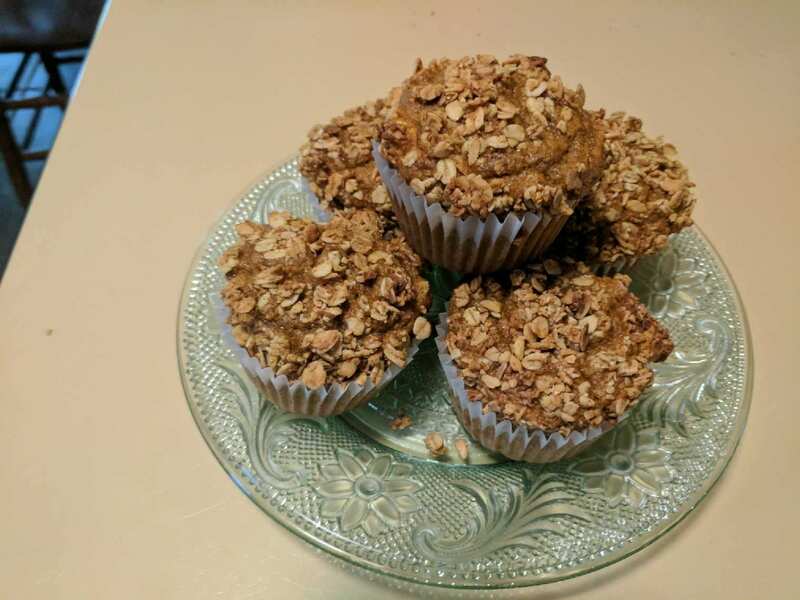 I love these muffins because they are not too sweet, they have a great crunch topping, they mix together quickly, and are a real crowd favorite. I usually use a french vanilla granola but this time I used Trader Jo’s Pumpkin Granola** to great reviews. Preheat oven to 350F. Line a 12 muffin pan with paper muffin cups and set aside. Sift together: flour, spices, baking soda, baking powder and salt and set aside. In a larger bowl mix together the sugar and oil until blended, add eggs one at a time beating by hand to combine then add pumpkin beating till blended. Stir in flour mixture until well blended. Fill muffin cups with a ice cream scoop to ensure all muffins are the same size. 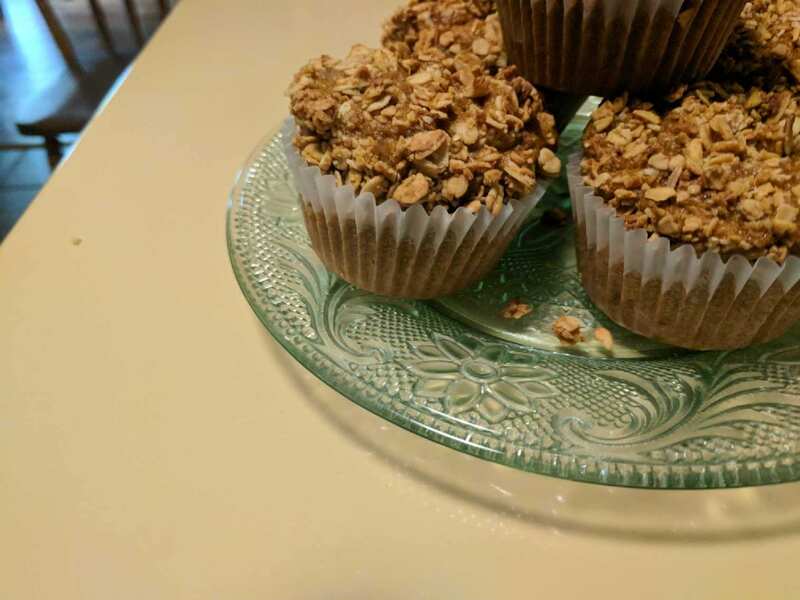 Sprinkle the top of each muffin with a teaspoon of crumbled granola and press lightly into batter. Bake for 25 to 30 minutes or until toothpick tests clean. Cool in pans for 5 minutes then remove to cooling rack to cool completely. Store in airtight container for up to 3 days.